Heavy rain pelted New York City on Sunday evening, resulting in flash floods and power outages across the city. (And there's plenty more rain to come this week.) 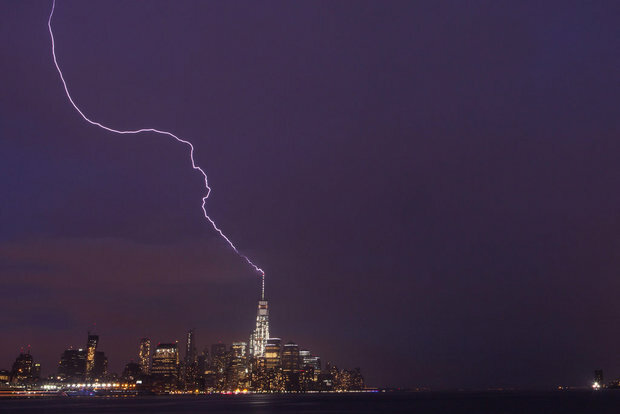 But one of the most dramatic storm-related events Sunday night was the lightning that struck One World Trade Center — not just once, but twice.